Learn how to capture images of dark, colored, and shiny objects. 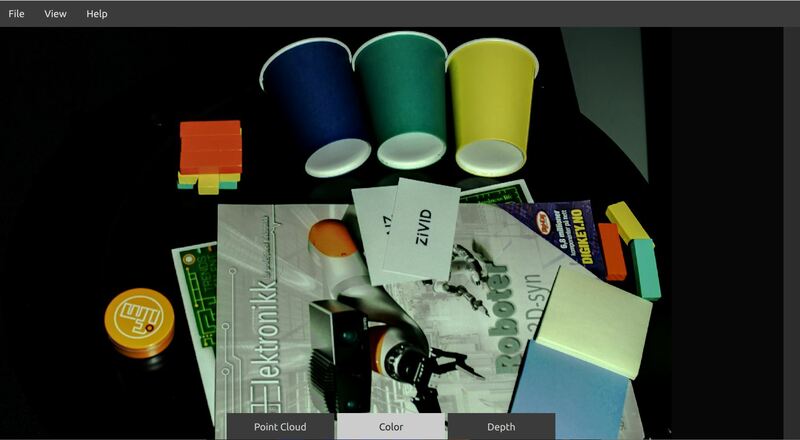 Zivid Studio is an application that provides you with a simple graphical user interface (GUI) to explore the functionality of Zivid, our advanced and exceptionally accurate 3D camera. 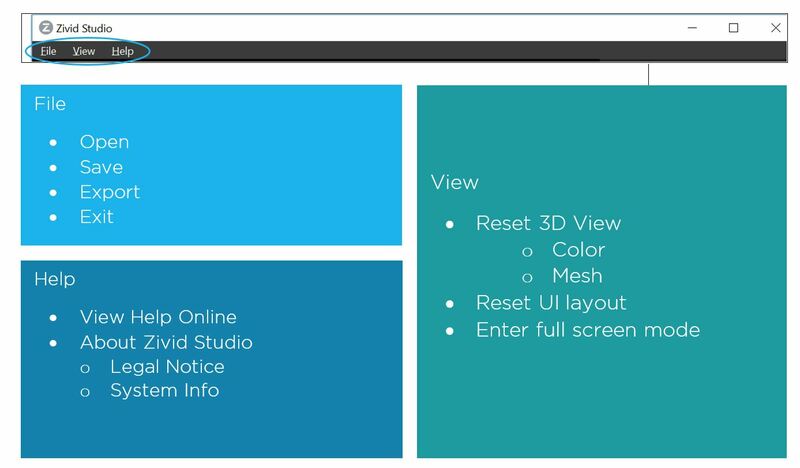 What to expect with Zivid Studio? 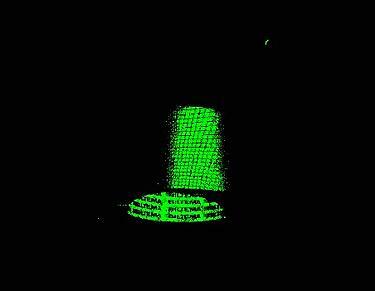 A point cloud is a 3D representation of an image. A good point cloud is characterized by dense points and no missing data, yielding a life-like 3D model of the captured scene. Fig.1.1 The image below displays a screenshot of Zivid Studio in use. The Zivid Studio toolbar on the top of the interface comprises of some options to allow you to save your image, control the interface, and get information about the Zivid Studio interface being used. Saves the point cloud in the chosen file format. Saving as .ZDF will also store the 2D image and the depth image. 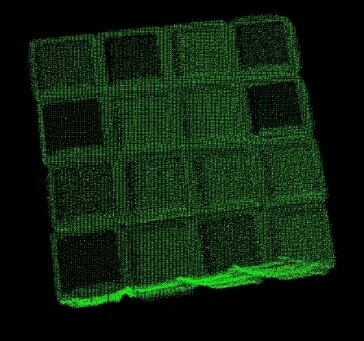 Creates the appearance of a mesh between all available points in the point cloud. This view displays the 3D point cloud of the scene after capture, or in real time when using the live mode. 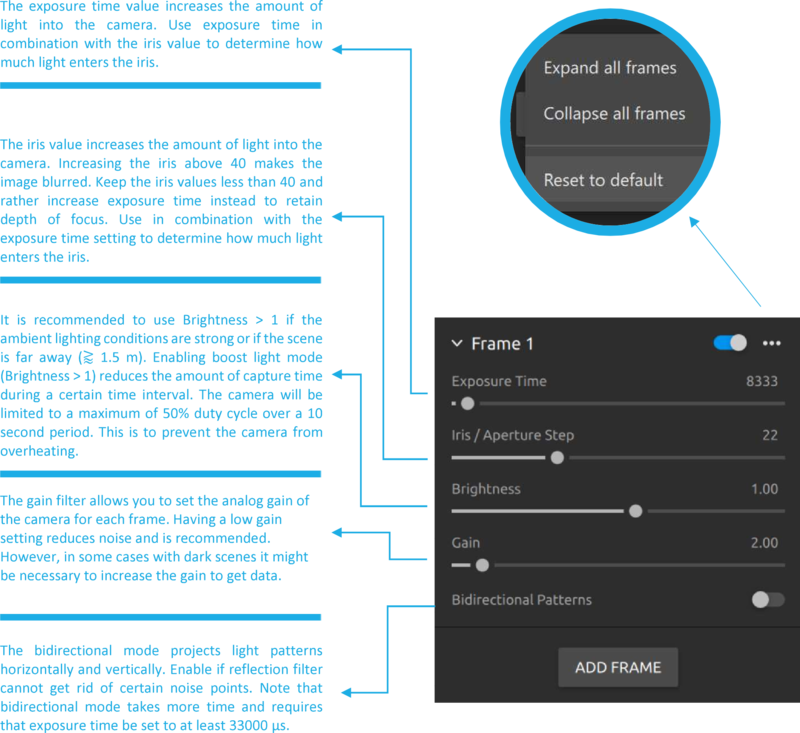 This is a flexible view with zoom, pan, and rotate functionality. Use the left mouse button to rotate the point cloud and the right mouse button to pan the view. You can zoom in or out by rolling the mouse wheel, or by the middle mouse button (if available) followed by dragging the mouse. You can view the 2D image by choosing the 2D color tab at the bottom. Zoom and pan functionality is available, however rotate function is not available with this view. 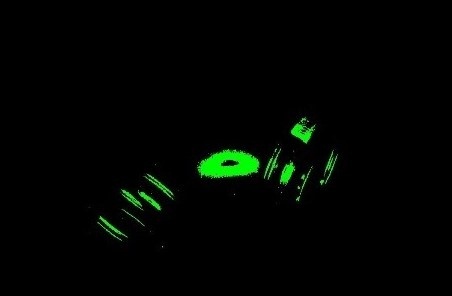 This view displays the depth image of the imaged objects. The color scale shows the variation in distance along the z-axis from the camera to the surfaces of the imaged objects. Step 2. Determine optimal settings to acquire dense points over the entire scene. The camera has an active iris that controls the amount of light that gets into the camera. The iris can have values from 0-72 where a higher value lets more light in. The iris is open enough to capture objects from a scene at around iris value 8-10. As you keep on increasing the iris you will continue to acquire more and more points on your object until a certain iris value. Beyond this iris value, you will start losing points on your object. A sample graph for a white object is shown below. The Zivid camera can capture high quality images for many objects with a single iris. 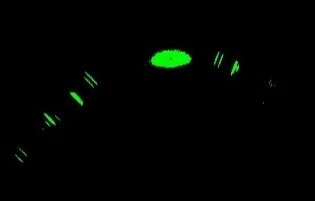 However, depending on the objects being imaged, you may need more than one iris value to get points on the whole scene. 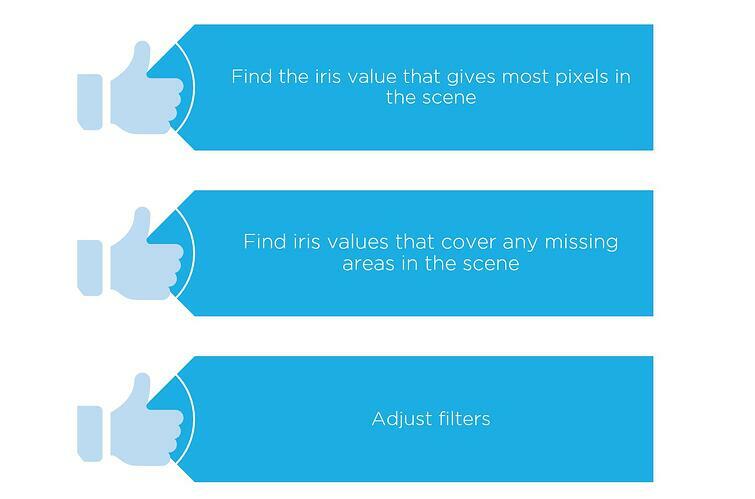 For dark objects in your scene, if you have to increase the iris beyond 40 to get points, increase the exposure time in increments until you can get points with an iris value 40 or below. This will help you retain depth of field for the images. 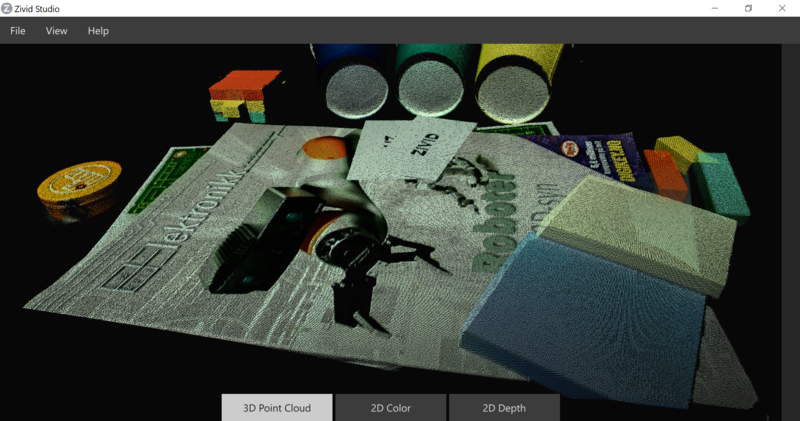 There are several unique filters and settings available in Zivid Studio to ensure that you get a high-quality point cloud. The basic settings to adjust in order to capture a good 3D image are iris, exposure time and brightness. To ensure that images retain depth of field, set the iris values below 40 and increase the exposure time instead to compensate for loss of light. 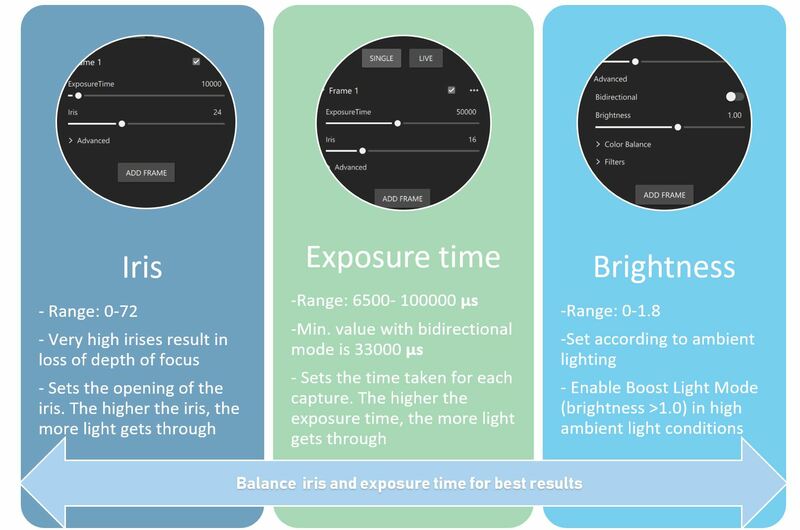 In Fig 1.7, different combinations of iris and exposure time settings are used to capture four good images with dense points. 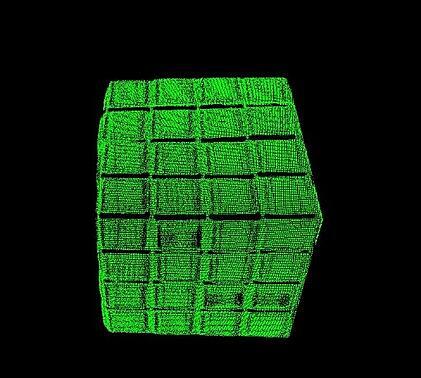 However, Image 4 with the highest exposure time and the lowest iris retains the most depth of focus and has the sharpest point cloud. 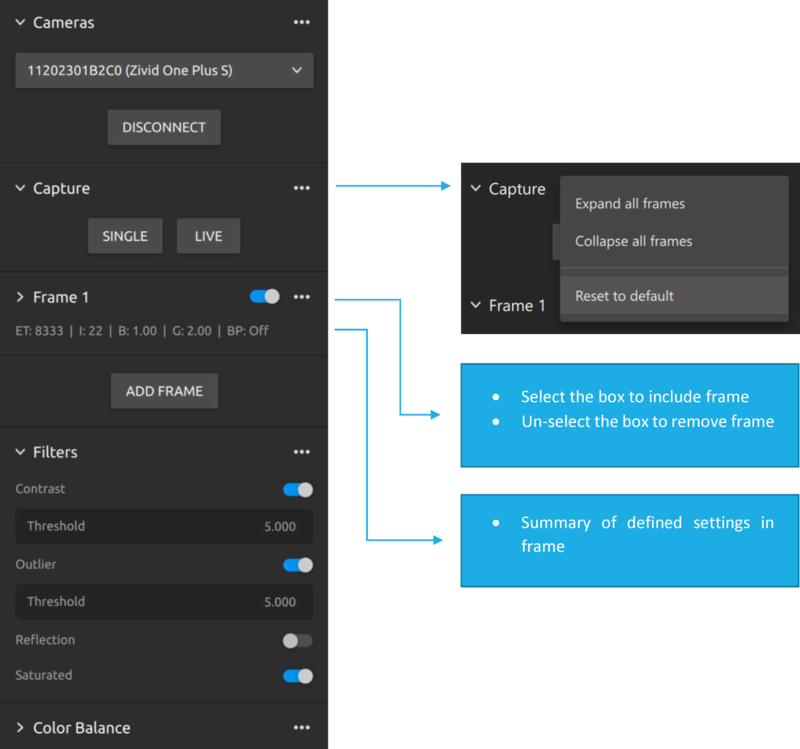 All the settings available within Zivid Studio are clustered into frames. For each frame specified, the camera captures an image with all the associated settings (iris, exposure time, brightness etc.) for that frame. 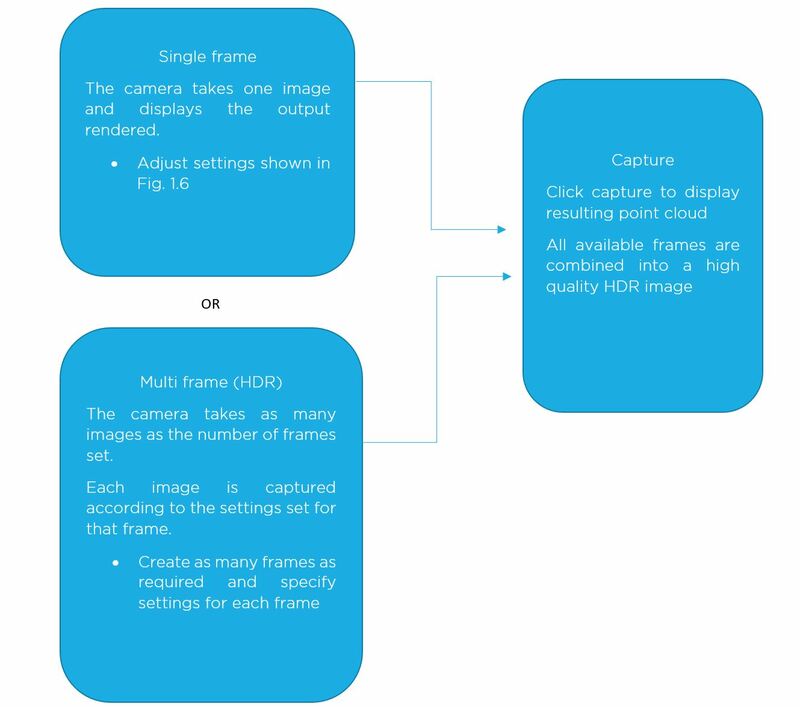 The images corresponding to each frame are finally combined to display a single high-quality HDR output image. Refer image 1.9 for illustration. The electronic iris is an adjustable opening (aperture), which controls the amount of light coming through the lens (i.e. the "exposure"). 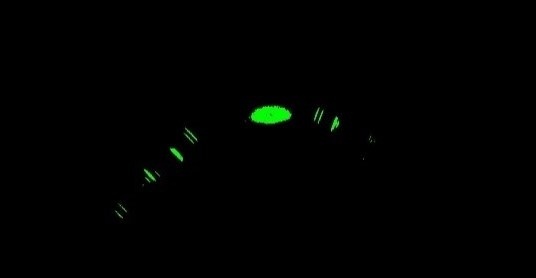 The more you open the iris, the more light comes in and the picture appears brighter. The iris can have values from 0 to 72 where higher values lets more light in. The iris is open enough to capture objects from a scene at around iris value range of 8-10. As you keep on increasing the iris you will continue to acquire more and more points on your object until a certain iris value. 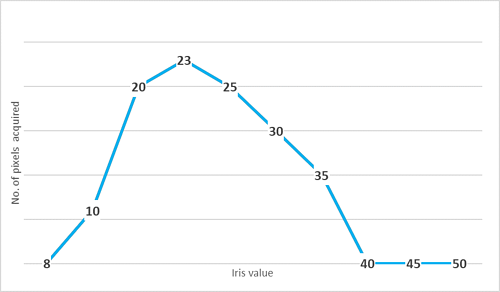 Beyond this iris value, you will start losing points on your object (Fig 1.8). Reducing the aperture diameter (increasing the f-number) increases the depth of field because only the light travelling at shallower angles passes through the aperture. To help you understand how to take optimal images with your new 3D camera, we have compiled a few case scenarios with different types of materials. Step 2: Adjust the iris slider to find the settings that gives you maximum number of points in the point cloud. Step 5: Click capture to view the resulting point cloud from all the defined frames. Turn color off (keyboard shortcut ‘c’) to ensure that you have points all over the black object or change settings if required. For this case with the Zivid camera, the combination of iris values 15 and 36 along with the exposure time of 10000 produces a good point cloud. Fig.3.1.2 and 3.1.3. illustrate the need for multi-frame capture. Fig. 3.1.3 has dense points over most of the object, but some areas, e.g. around the edges and the Zivid logo do not have points unless you include iris 15. 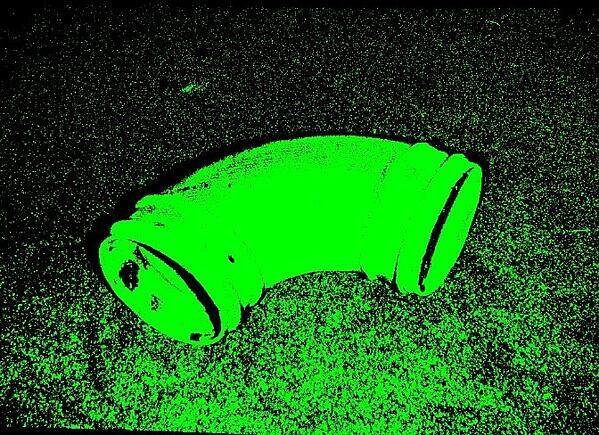 For this object, five iris values are required- 10, 14, 20, 29 and 37. 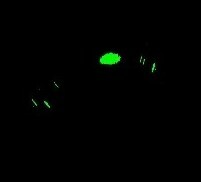 Each of these active iris points were tested individually and confirmed to be the best combination of settings required for this object. Fig.3.3.2 illustrates the result of these different iris values individually, and the final output with the use of Zivids unique HDR feature. 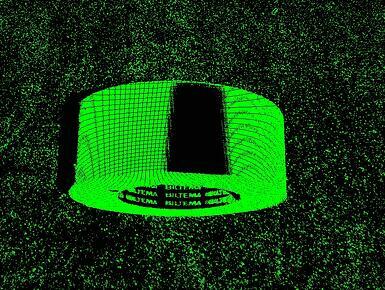 Expert tip: On rotating the 3D image you may find noise points. 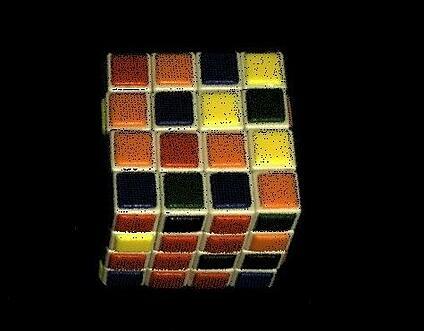 These points can be chaotic if recognized as part of the object (e.g. In case of a bin-picking scenario). 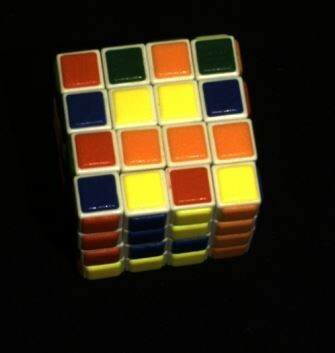 Zivid’s unique reflection filter solves this problem intelligently. Under Preferences, enable the reflection filter to eliminate noise points and get a noise free image. 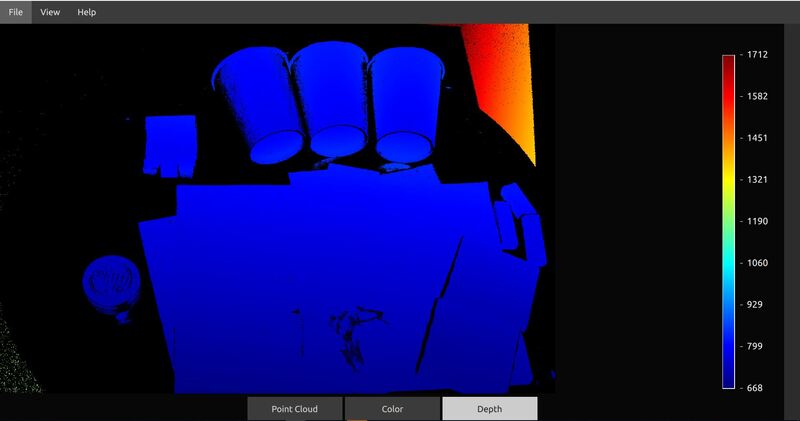 These tips should help you capture an optimal image with a dense point cloud. Fig.3.3.5 displays the final output of the object used in this example. Always use live mode to determine the best irises for your sample objects. Do not set the irises randomly or in increments. This compromises on speed and/or data quality. Adding more irises does not necessarily optimize data quality. If the image was already optimized or if other parameters need to be tuned, adding more irises instead will only increase acquisition time. Example: For the shiny metal pipe, adding iris 11 when iris 10 and 14 are already set do not optimize the image further as the points rendered by iris 11 are already included in the points given by iris 10 and 14. Use the Reflection Filter to get rid of noise points. 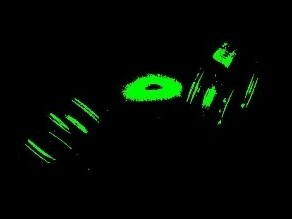 Use the Bidirectional filter if there are noise points that the reflection filter could not eliminate. Adjust ambient light if possible. 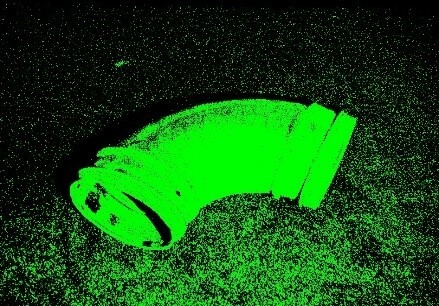 Low ambient lighting works best for acquiring sharp images, this is true for shiny parts in particular. If lighting cannot be adjusted, ensure that the brightness parameter is adjusted for the best results. E.g. Use brightness less than 1.0 in dark conditions, and higher than 1.0 in bright conditions. Always set the recommended operational distance for your camera. Example: 0.5m for the Small, 0.8 m for the Medium, and 1.8 m for the Large cameras. 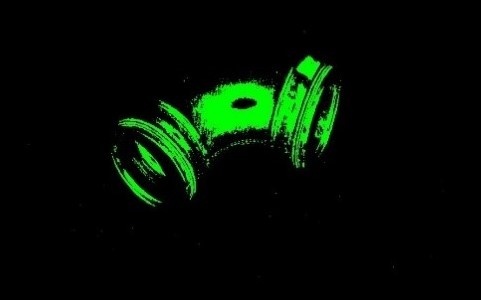 Use a dark background to capture high-quality point cloud easily, especially with shiny parts. E.g. Black bin/ black background. 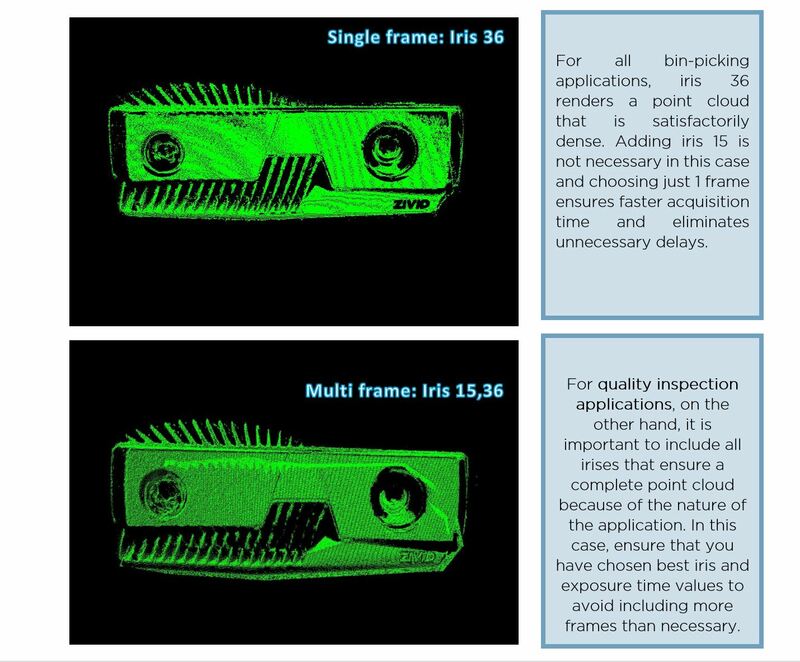 To counter highlights in your point cloud, include a lower iris value. Use live mode to determine which iris to include. E.g. 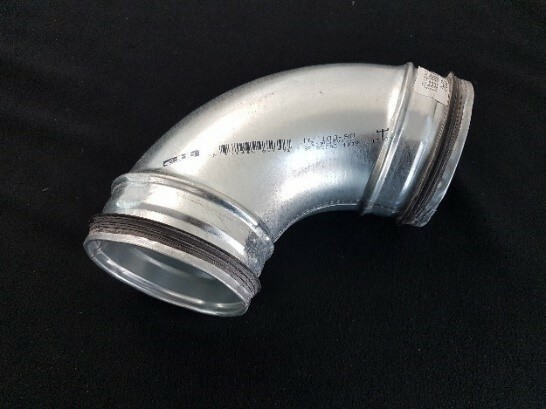 As shown in Fig.3.3.6, the highlight in the middle of the duct tape is countered by adding a lower iris of 13. 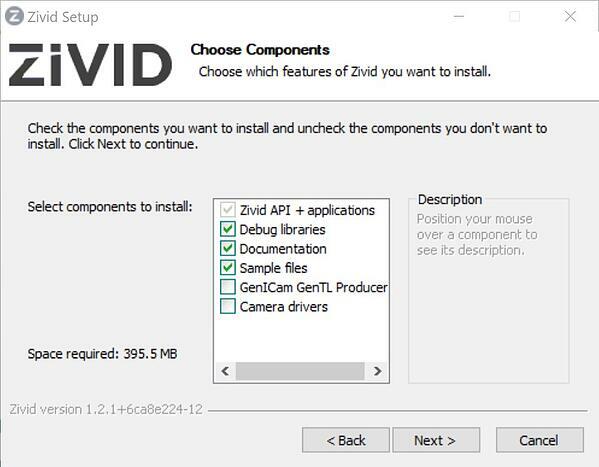 Reinstall Zivid Studio and include all installation steps as shown below. If you are still facing problems, please contact the Zivid team at customersuccess@zivid.com. 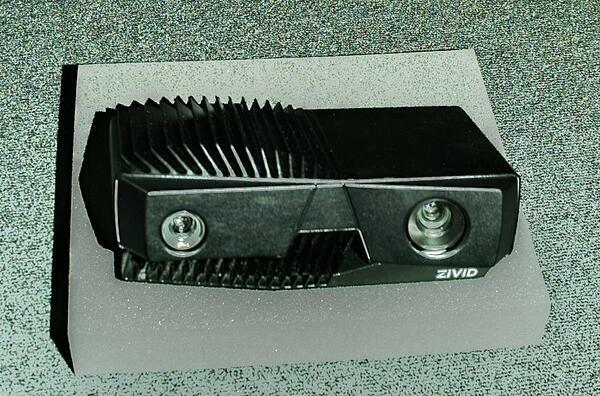 The camera will display a “Zivid” logo if it has power connected and boots up. Make sure that no other program is occupying the Zivid Camera (such as Visual Studio). In Zivid Studio on the right pane, click the “…” next to “Cameras” and select “Scan for connected cameras”. Ensure that the Zivid camera is not used by any other applications such as Cloud viewer, Zivid Studio, or Visual Studio. Also ensure that multiple tabs of the same application are not open. Zivid cameras use projected light to determine the distance to objects in the scene. 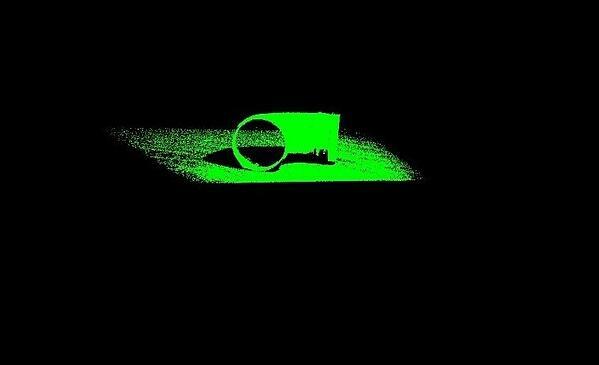 Ambient light introduce noise that affect the accuracy of the 3D sensors, and in worst case may cause data loss. The table below explains some effects of ambient light and how to deal with them. The 3D point cloud is changing over time with the same scene as if the settings used are no longer giving the same results as they did before. Increase projector brightness to mitigate the effect. Provide shade from windows by using e.g. blinds. I’m seeing waves or ripple-like effects on planes in the point cloud. fline is the power line frequency. In e.g. 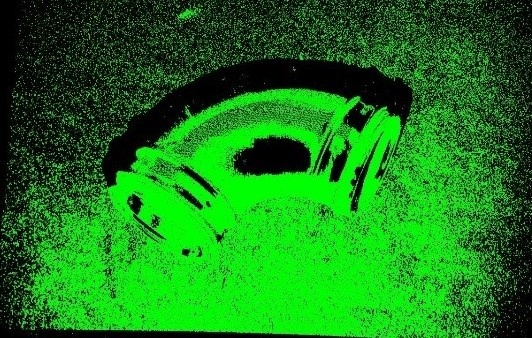 EU this is 50Hz, and in US this is 60Hz. For Europe, exposure times in multiples of 10’000 µs should be used, and multiples of 8’300 µs in the US. 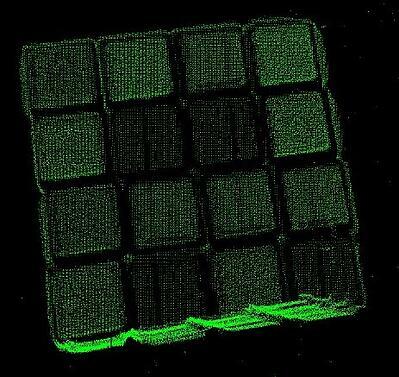 The 2D color image has very bright spots, or there could be spots of missing data in the 3D point cloud. 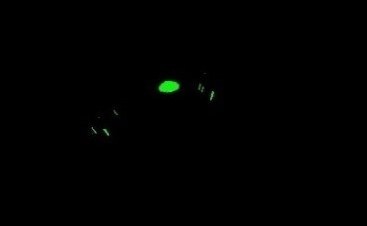 Direct reflex from light sources may over saturate the sensor. Cover the projector (e.g. with your hand) and grab an image. 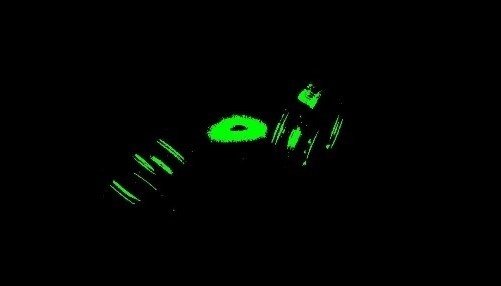 Look at the 2D image in Zivid Studio and see if there are bright spots. If there are, try to assess where it comes from. 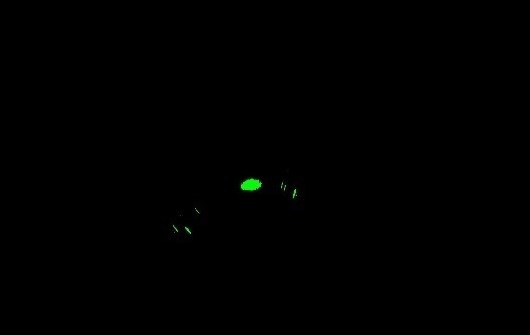 It could be from a light bulb, the sun, or some other source. If possible, eliminate them by facing them away, provide shade or similar. Your Zivid camera is the world’s most accurate, real time 3D color camera because it has been developed and put together with much thought from your friends at Zivid to ensure that you have a fantastic 3D experience! So, what makes Zivid tick? Here is a little background to help you know your camera better. The Zivid camera functions on the principle of structured light. Zivid contains a projector and a camera that is placed at a specific angle to and distance from each other. 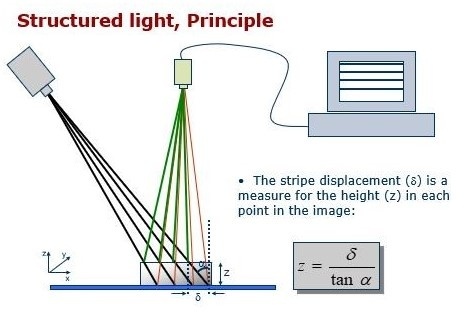 Light patterns are projected by the projector onto the object and the displacement in the light patterns are used to calculate the depth of the object at every point giving you a 3D model of your object. 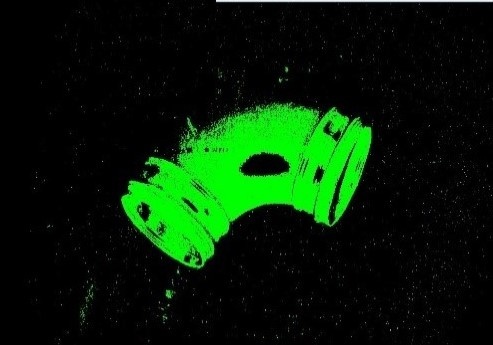 For every image capture performed by Zivid, several images are captured internally by the camera at a remarkable acquisition rate of 10 Hz to ensure that the captured point cloud gives the most accurate data. One of Zivid’s most unique features is the HDR capability. ‘Difficult’ objects are made easy with this feature. The HDR mode allows you to choose different iris settings which are best suited for the different colors or areas of your object. The camera captures images internally with each of these specified iris settings and these images are then combined to give you the best possible output with overall accuracy. 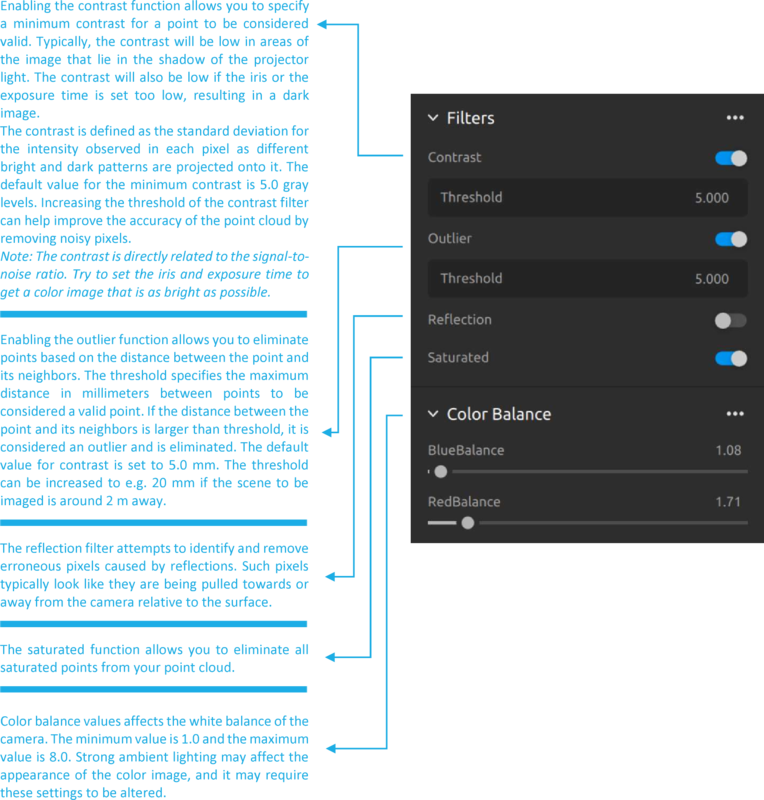 Some other features that make Zivid special are the filters that give you added functionality. 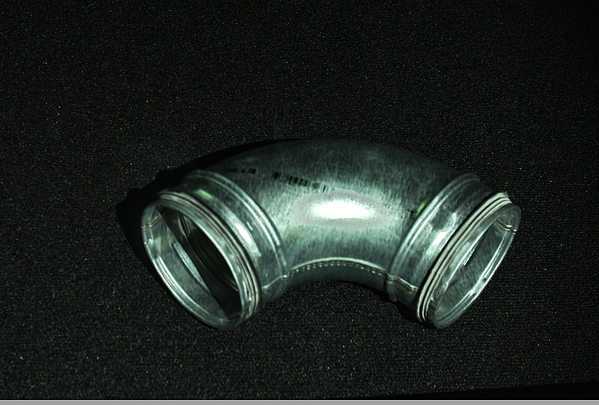 The Reflection filter for example ensures that you can take images of shiny objects without false, noise points. 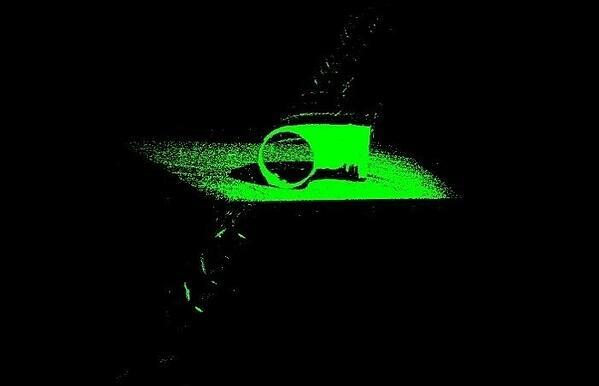 Consider a picking scenario where the camera mistook false points (points in the point cloud corresponding to reflections) as part of the object. A robot attempting to perform a pick could aim at these false points instead, resulting in an erroneous and chaotic process! 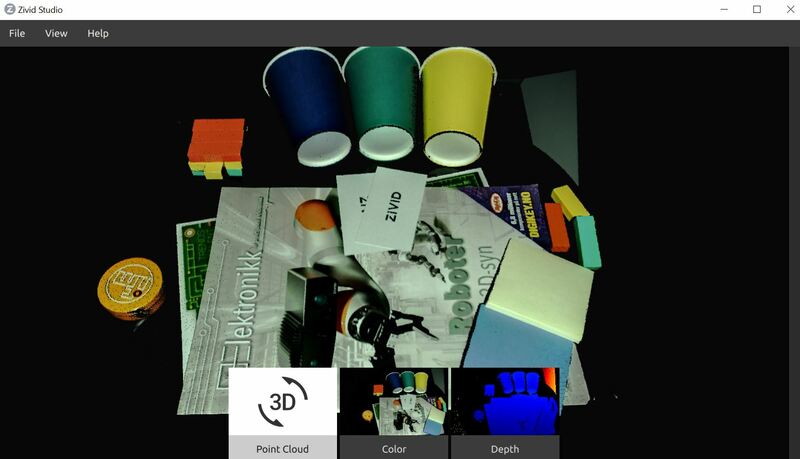 Zivid also functions in the full color spectrum which renders a high quality, 3D point cloud with life-like resemblance. Visit the Zivid One or Zivid One+ product pages for complete specs.